Once upon a time there was a man with a dream and a vision, a man with passion, set on creating fully automated load distribution solutions. It is said that he was born with a tape measure in one hand and a calculator in the other. The last 20 years of his life he worked tirelessly, with one mission in mind, to turn this vision into a reality, his genius evident in the program he created – RITELOAD. 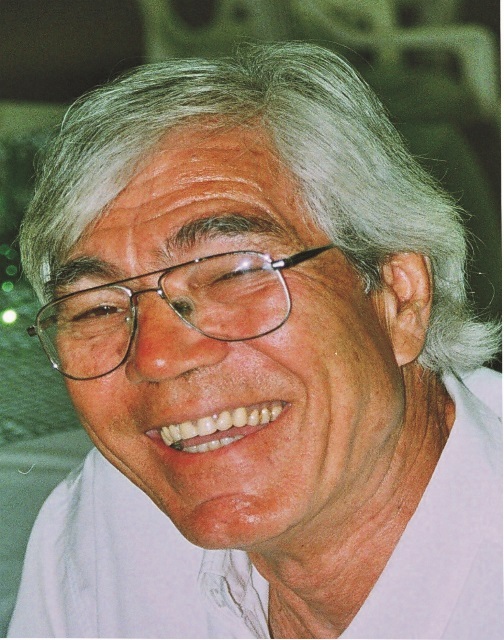 For many of you he needs no introduction; for those of you who didn’t know him, his name was Murray Reyneke. Two things come to mind when traveling down the straight and narrow tarmac, en route to that delivery. With a view of an approaching weighbridge staring you point blank in the eyes, you can't help but think … I hope my load is distributed correctly if I’m directed onto the weighbridge off-ramp. The fact is, it is very seldom the case that the truck operator is not directed into the pit lane of doom and just given a friendly passing wave by our hawk eye upstanding traffic officials. You’d better believe, that unless your rig is half empty, you have a few minutes to prepare yourself for the "PLEASE PARK IN THE HOLDING AREA AND CORRECT YOUR LOAD SIR," instruction over the screeching loud speaker. Since the beginning of trucking, as we know it anyway, guesswork on vehicle loading and doing it correctly has been at the top of the head scratching list for most transport companies, not only in South-Africa, but world-wide. Transport company owners and load planners alike have never been able to find the key to correct load planning. On that same list we have a few items that are pretty difficult to come by in our looming economic malfunction, for lack of a better word. Those items are, profitability, efficiency and productivity. Ticking all the boxes can be tricky when it comes to overloading. However, let’s not forget underloading, which also sends load planners, operators and company owners running to the nearest drugstore for a head exploding symptom reliever. Spending many hours, days, weeks and even months over a number of years at some of South-Africa's weighbridges, simply assessing the procedures and regulations that are clearly stipulated in our Road Traffic legislation, you soon realize that there is no getting around the law,. Your truck operator is stuck at the weighbridge until such time as the overload is corrected. And no, there is no forklift but we can assist in providing you with a fine! With inaccurate load distribution, the bigger issue is not the fine, but the down time and loss in productivity, the silent killer of profits. RITELOAD has identified the needs of transport companies when it comes to efficient and accurate palletised load distribution. Finally, there is a unique automated software solution that accurately calculates the optimal position where each pallet can be placed to prevent an overload situation. More importantly, it will provide you with maximum payload capacity without the usual risks. 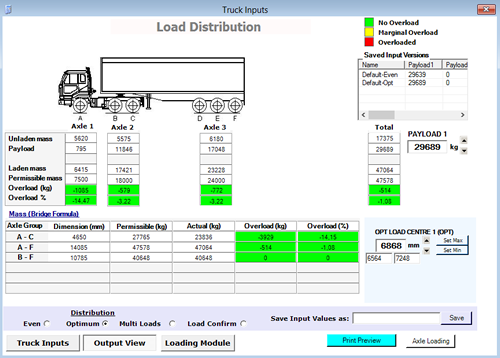 RITELOAD software has a number of features that are specifically designed to comply with road transport regulations. Features include: Load Planning, Load Confirmation, Instant Load Schedules, Independent Axle Weights, Custom Vehicle Specification Creation and even Management Reports that can be used for auditing purposes. The idea at the end of the day is to be able to plan a load quickly, efficiently and accurately without any risk. Finally … no more guesswork, thank you Murray! Johannesburg - The importance of the road freight industry to South Africa’s economy is underscored by the fact that 86 percent of the freight transported annually in the country goes by road. 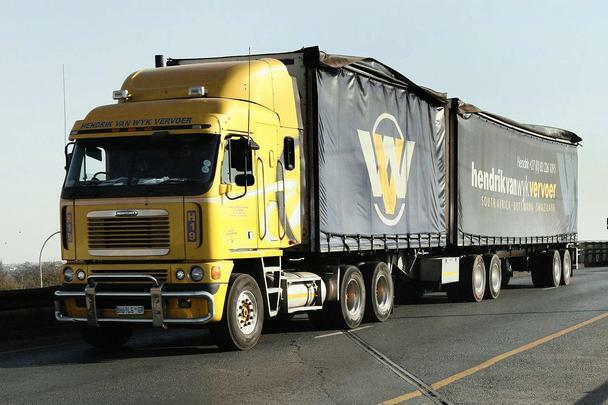 Road Freight Association of SA technical and operations manager Gavin Kelly said the latest e-Natis figures showed there were 557 795 commercial vehicles of m ore than 3500kg on South Africa’s roads, including trailers. According to Statistics SA, road transport contributed nine percent to the economy, he added, and a total of 103 000 formal and informal employees were employed by the road freight sector. However, the SA Transport and Allied Workers Union claimed 300 000people were employed by the sector. Econometrix consultant Frank Beeton stressed the importance of road transport to the economy and the country. He said road transport was not cheaper than rail but shippers were prepared to pay for road transport because it was reliable, predictable and cost effective. However, both the road and rail transport sectors are in trouble. Economists.co.za chief economist, Mike Schussler, said in the latest edition of the RFA’s Truck Talk that the latest data from Stats SA revealed that rail tonnage on a three-month moving basis had declined for 13 consecutive months on a year-on-year basis while road freight had a long 14 months of year-on-year declines. Schussler said for the first time since the new Stats SA time series started there was a year-on-year decline in rail tonnage followed by another year-on-year decline a year later. In regard to road freight, Schussler said the sector had not just experienced a simple recession but a long hard period with many firms going out of business and tight budgets overall. “This is the worst industry crisis since the great recession but the last three-month payload had increased and particularly containers and the manufacturing sector did well as manufacturing of food and some other products have improved despite the drought,” he said. The strain being experienced by the road freight industry is evident from the number people employed in the bargaining unit, with a total of 3987 employees retrenched in 2015 and 2450 retrenched so far this year. According to the transport department’s national transport master plan, which was updated in June, demand for road freight on most of the country’s national corridors was expected to increase in the period to 2050, with the number of road freight vehicles anticipated to increase to more than a million by 2050. The department added that cross-border traffic would rise to more than a million freight vehicle border crossings annually by 2050. But Kelly said all estimates would need to be revised given the current economic climate. The number of operators in the road freight industry had shrunk by about three percent over the past two years, he added, with micro, small and medium operators plus a few large operators largely affected. “The industry is under severe pressure and the closing of many mining operators has severely curtailed traditionally large tipper fleets,” he said. Schussler highlighted the strong competition between rail and road transport, adding that prices had declined in real terms, with the price per ton transported increasing by 4.5 percent for road freight and by 6.7 percent for rail transport since July 2014. However, general inflation had increased by 11.3 percent over the same period, indicating that both rail and road price increases were below the rate of inflation. Wage increases in both industries were also between one and two percent above the rate of inflation, which was partially offset in the road freight industry by the decline in oil prices while the rail industry suffered badly because of the 20.6 percent electricity price increase, he said. Schussler said it was a battle for survival in land transport sectors when costs increased and income declined, but it appeared that rail freight might have cost increases of twice the rate of road freight. Nevertheless, Schussler had further bad news for the road freight industry, stressing that price pressure would continue for some time, wages would not be able to increase above the rate of inflation and there would be massive consolidation in the industry. But rail would have to increase prices significantly because of the lack of income from the two commodity lines, he added, which would result in even more switching from rail to road. Beeton said the most important challenges facing the road freight industry was that rail wanted to take its business away and the reintroduction of the permit system, which had been officially motivated by the need to try and reduce traffic and wear and tear on the roads. But Kelly was adamant there was no threat to the road freight industry. “The reality is that rail cannot meet the demand from customers and to customers in terms of reliability, cost, security of load, service from door to door and efficiencies. “Road will always play a role in transport. The lessons learnt here and across the world show this,” he said. Please note the Department of Transport has published the 24th amendment to the National Road Traffic Regulations in Gazette No. 40420 of 11 November 2016. There are only 2 amendments in the gazette. 2. Reg 293: Goods vehicles with a GVM of more than 3 500 kg up to 9 000 kg are now limited to a maximum speed of 100 km/h – Implementation date - 11/11/2016. The maximum general speed limit of 120 km/h was applicable to the vehicles up to 11/11/2016. Note the provisions on speed governors that will come into force on 1 December 2016 (Reg 215, as published in GG 38142 on 31 Oct 2014). Reg 215. (1) No person shall operate on a public road a motor vehicle which is designed for or capable of reaching a speed of 60 kilometres per hour or more on a reasonably level road, unless such vehicle is equipped with a speedometer which is in a good working order. first registered after 1 December 2016, unless such minibus, midibus, bus or goods vehicle is fitted with a speed governor, restricting the speed of such motor vehicle to the speed limits as contemplated in regulation 293.